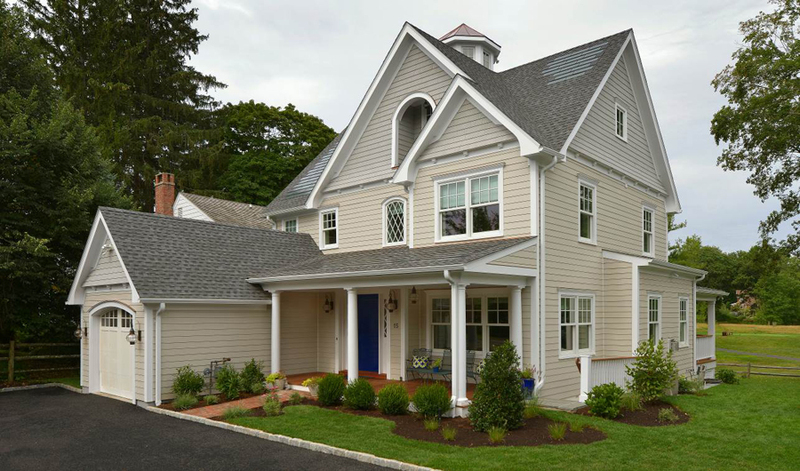 At the 2014 ICF Builder Awards, top honors in the Small Residential Category went to the Shore Road Project. 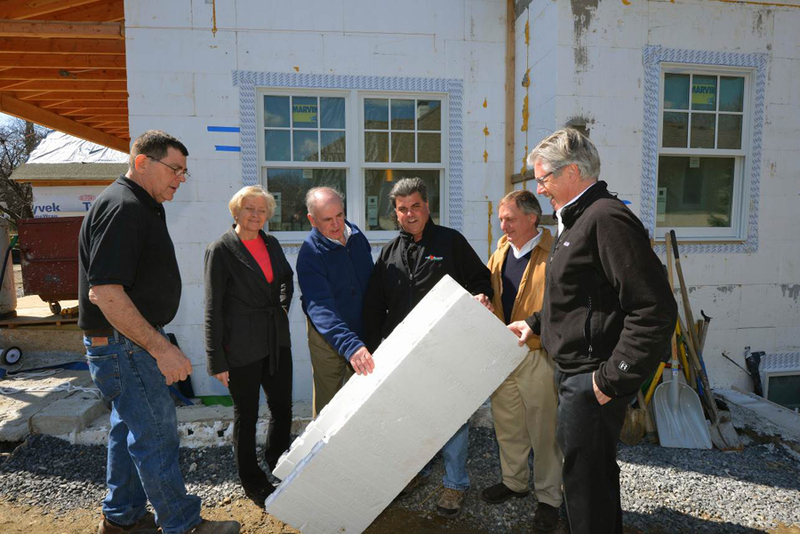 The home belongs to Chris Murphy, co-owner and president of Murphy Brothers Contracting, Inc. For years, Murphy Brothers has used ICFs for foundation walls. 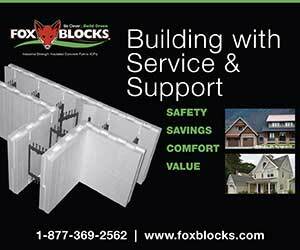 But when he and architect Rex Gedney attended the International Builder Show in 2013, they spent the better part of an hour at the Fox Blocks exhibit, learning how easy it is take ICFs all the way to the roofline. 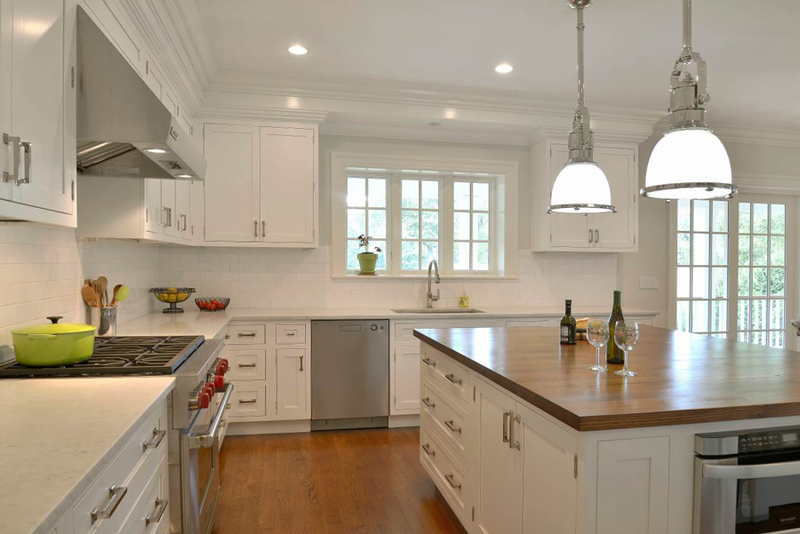 Murphy Brothers had recently renovated a home to LEED Gold standards, and were looking for an easy-to-use, sustainable building material for their next project. After the show, they spoke with energy consultant Lois Arena, PE. 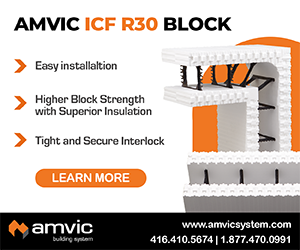 She was already convinced of the energy efficiency of ICF construction. 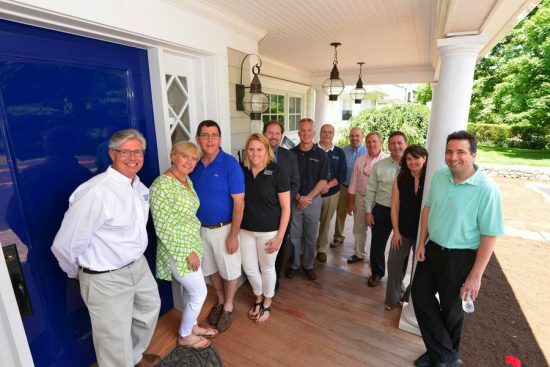 Shore Road Project provided an opportunity to put their plan into action. After dismantling the old frame house that stood on the building lot, the first major hurdle was permitting. Old Greenwich, Connecticut has strict zoning requirements. 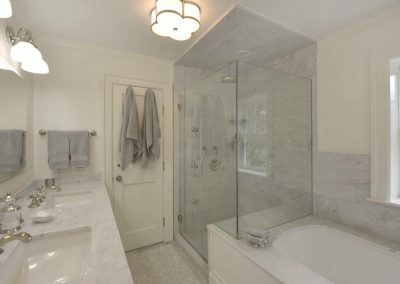 Gedney wanted his design to meet the “Historic Coastal Colonial Home” architectural requirements in order to blend into the neighborhood. Other permits, such as Floor to Area Ratio requirements (FAR), and Wetlands and Coastal Flood Zone restrictions were mandatory. Murphy reports that it took months longer to obtain approvals than it did to actually complete the project. 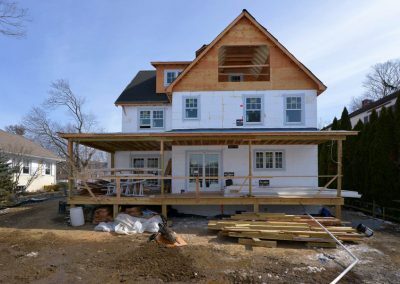 This was the first time Gedney’s team had attempted an all-ICF house, and the Coastal Colonial Home style mandated by the neighborhood meant creating a design with various corners, dormers and ICF walls that did not stack from story to story. With assistance from ICF territory manager, Brian Medford, Gedney was able solve the design difficulties while maximizing the aesthetic potential of the lot. 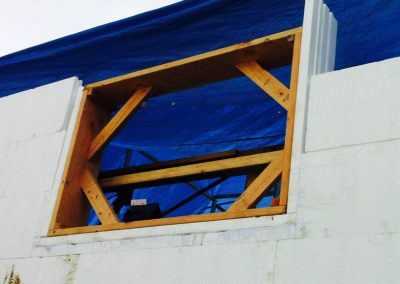 Stacked walls were placed on steel I beams. 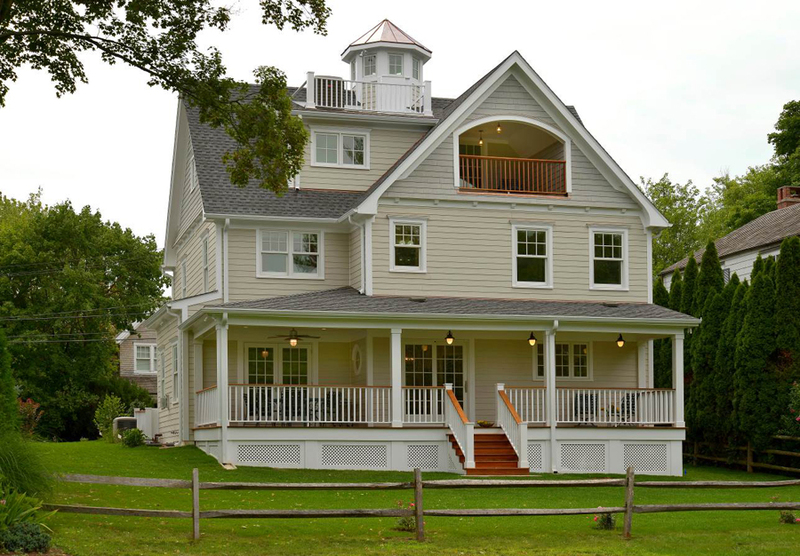 A third-floor covered porch captures dramatic views of the adjacent golf course. From there, a custom ship ladder leads up a cupola onto an open roof deck for even more spectacular views. 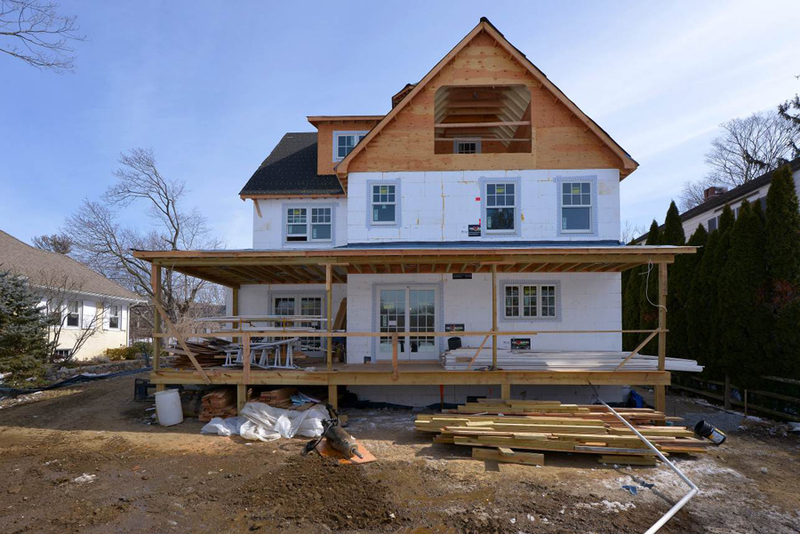 Gedney will be submitting the home for the 2015 Westchester/Hudson Valley AIA Chapter Design Award as well as featuring the Shore Road project on the chapter’s Sustainable Design database to encourage architects to incorporate ICFs as a sustainable design strategy. 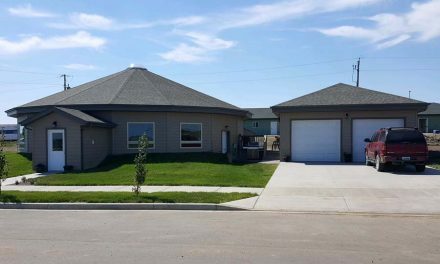 With the design and approvals in place, the next challenge was the actual construction, which was complicated by a congested jobsite which had to accommodate the backfill, building materials, work-trailer, and the building itself. Five inches of closed-cell foam was sprayed in place under the basement slab. 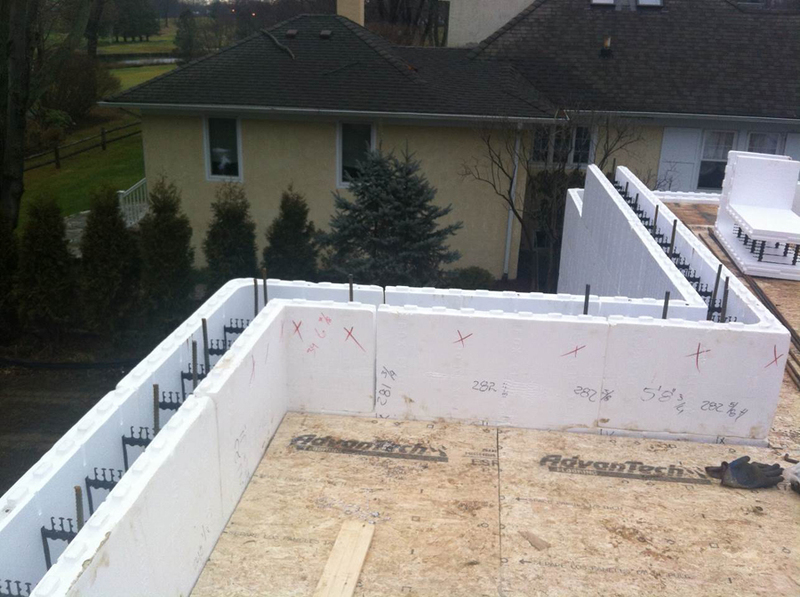 Basement walls were stacked using 8″-core ICFs, transitioning to a 6″-core for the above grade portions. 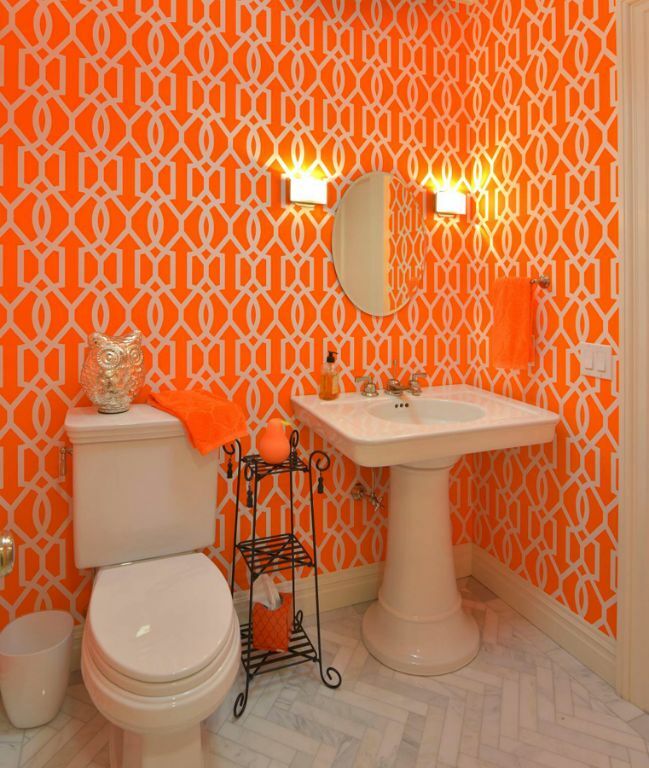 Arena, the energy consultant, contributed her expertise throughout the project. 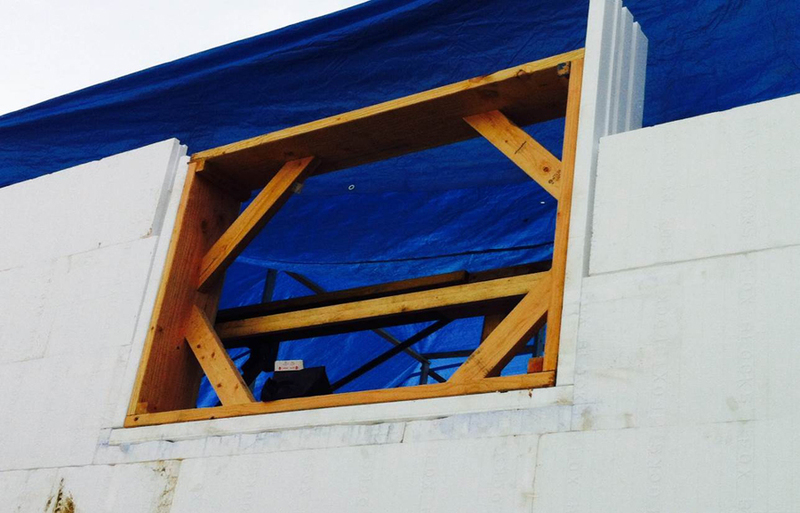 Closed-cell spray foam insulation was used in the attic and rafters rated at R-70. 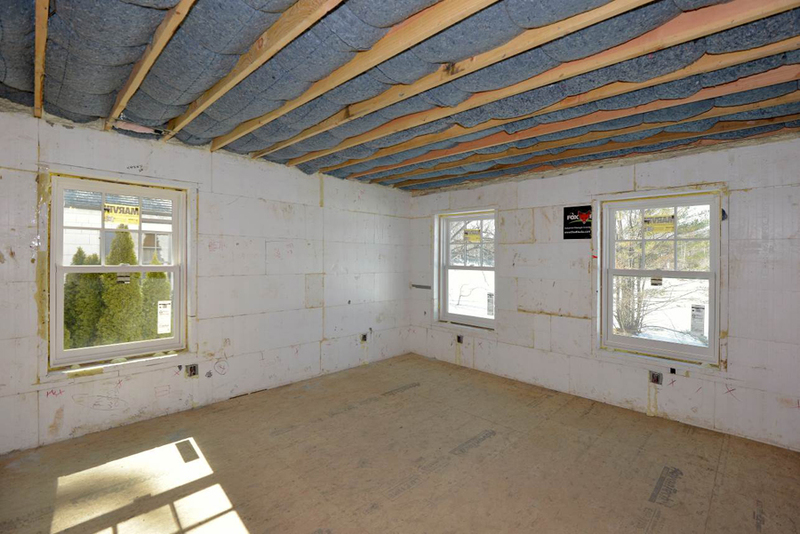 Interior walls and floors use recycled blue jean insulation for sound attenuation. 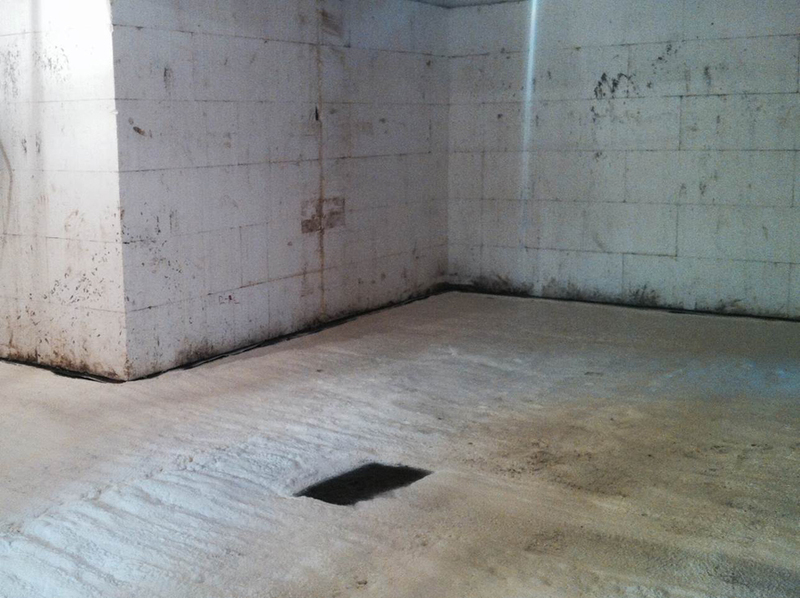 Five inches of closed-cell foam was sprayed under the basement slab for energy savings (above). 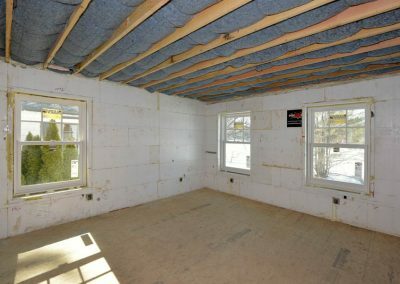 Recycled blue jean insulation (below) between floors reduces noise. An ERV system ensures efficient, adequate ventilation. 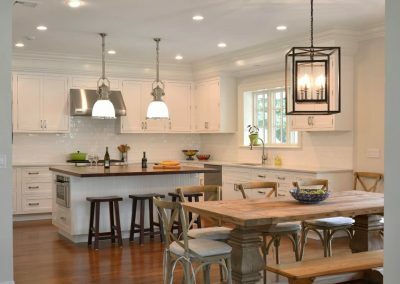 Lighting is a mix of LED and compact fluorescent bulbs, and Energy Star appliances and water-saving plumbing fixtures reduce energy costs further. 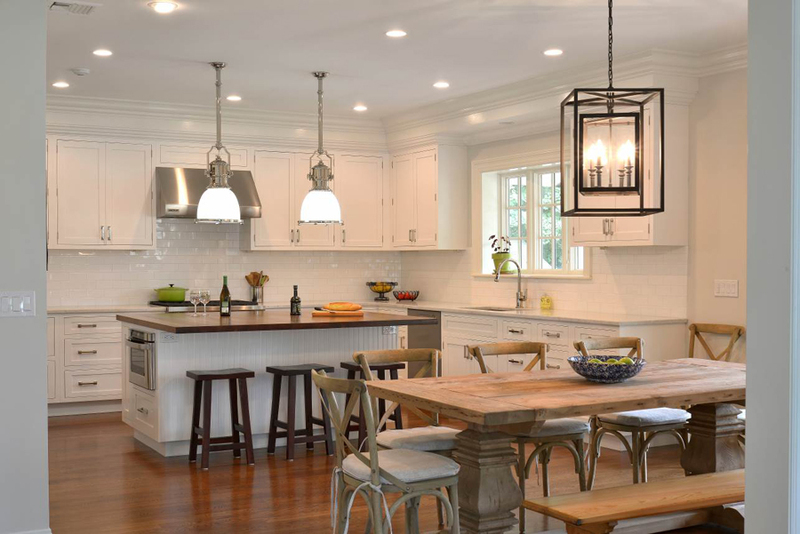 Lighting is a mix of LED and compact fluorescent bulbs, and Energy Star appliances and water-saving plumbing fixtures such as a tankless on-demand hot water system and dual fuel heat pump reduce energy costs further. But the team wasn’t satisfied with just reducing energy usage. 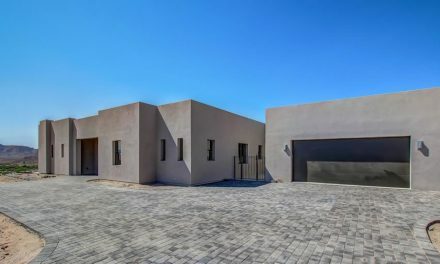 They incorporated a 4.5 kW photovoltaic system into the roof. 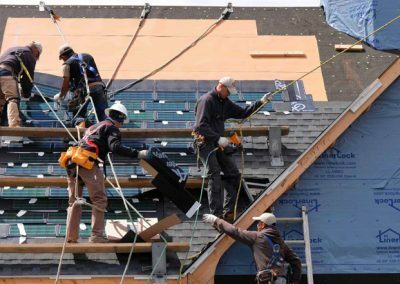 The unobtrusive solar array is Dow’s Powerhouse solar roof shingles, and this project is the first time the product has been used in Fairfield County. 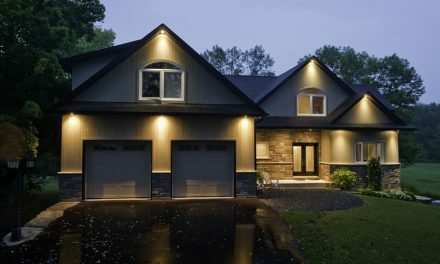 The exterior trim is cement board siding with vinyl trim for extremely low maintenance. The driveway is made of pervious concrete. 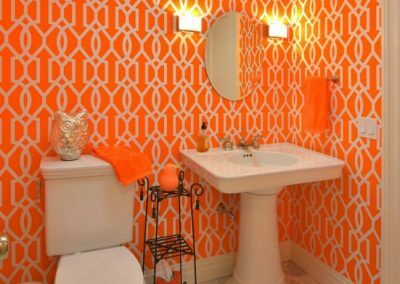 Indoor AirPlus and DOE Zero Energy Ready Home Quality Management Guidelines. 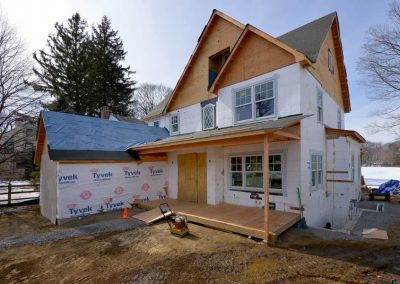 Murphy Brothers, which completes about two dozen projects annually, used the house to train all of their project managers on ICFs. 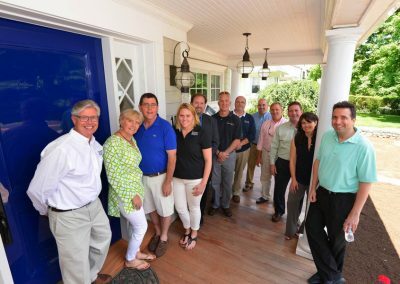 While the home was still under construction, Murphy Brothers hosted two AIA CEU presentations on designing with ICFs, followed by a “muddy boots” open house tour. 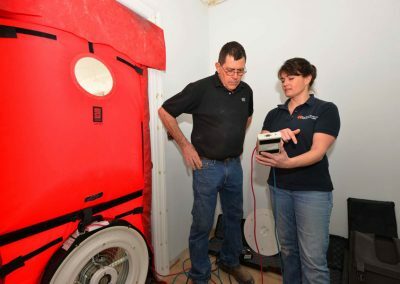 These tours included blower door test demonstrations, explanations of how ICFs work, and the Energy-Star Rating system. 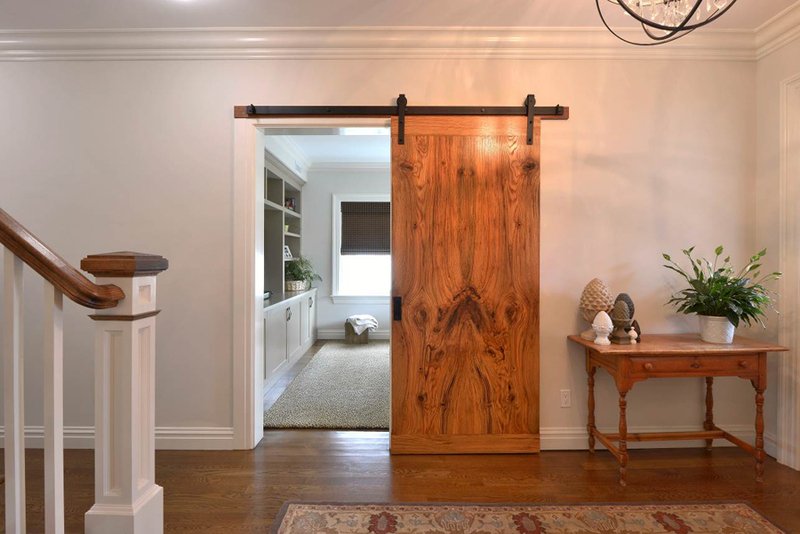 The completed house was also opened to the public during the U.S. Green Building Council’s 2014 Spring Green Home Tour, proving that style and sustainability can go hand-in-hand. 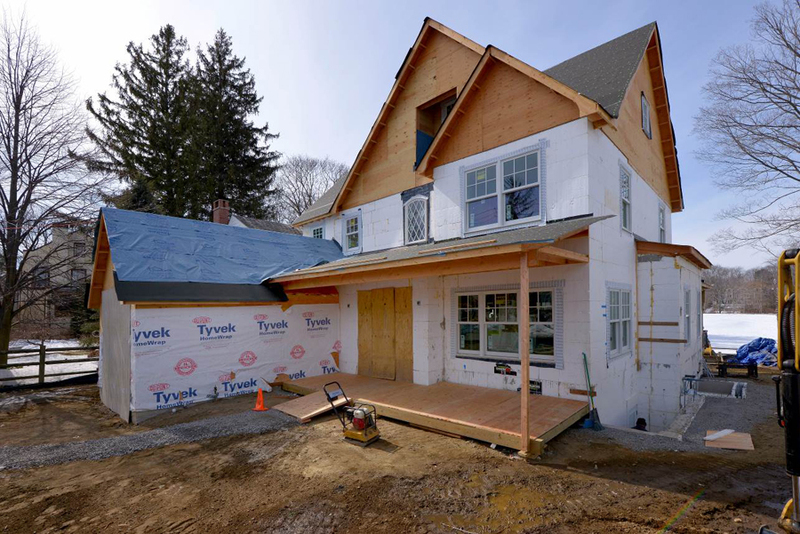 It also participated in the statewide Connecticut Zero Energy Challenge. 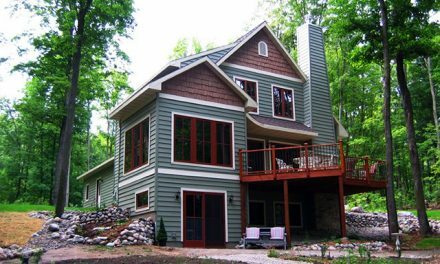 As seen in these before-and-after photos, the exterior trim is cement board siding with vinyl trim for extremely low maintenance. The driveway is pervious concrete. 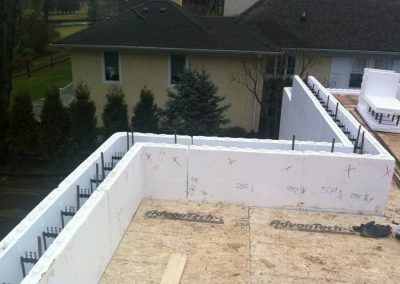 ICF Use: 4,250 sq. 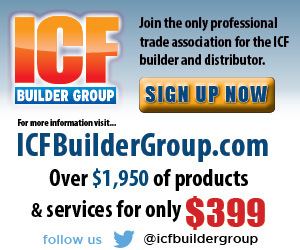 ft.
Energy Consultant: Lois Arena/Steven Winter Assoc. 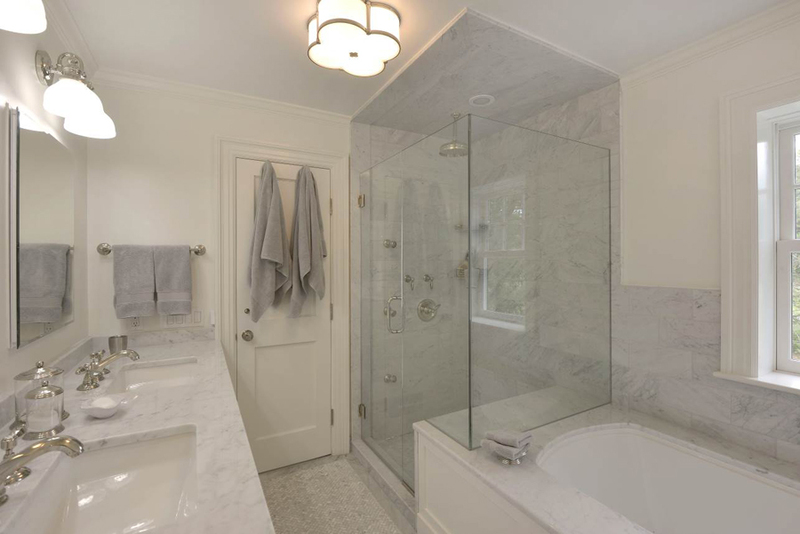 Designed to meet historic, flood and zoning regs. 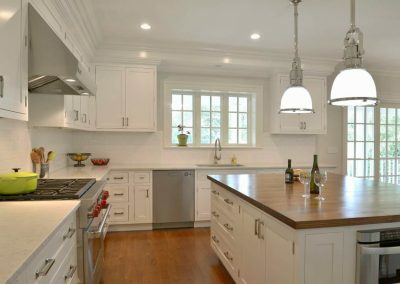 Beautiful and practical, the interior finishes were also chosen with an eye on sustainability. 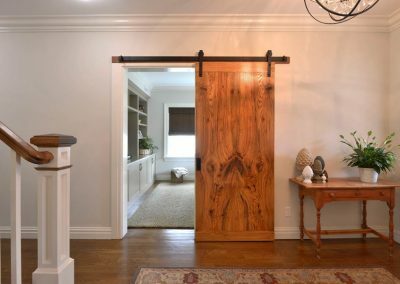 The hanging door was milled from an oak knocked down by Hurricane Sandy. 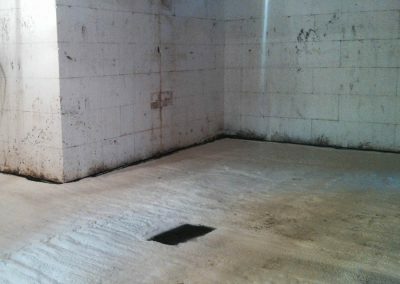 Five inches of closed-cell foam was sprayed under the basement slab for energy savings (top). Recycled blue jean insulation (bottom) between floors reduces noise. 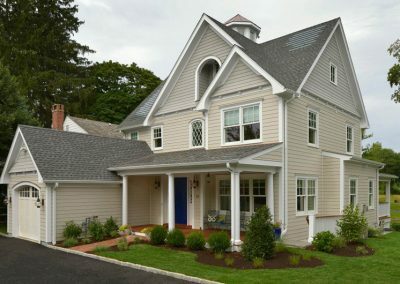 A 4.5 kW solar array blends seamlessly with the roofline, thanks to photovoltaic shingles (top). 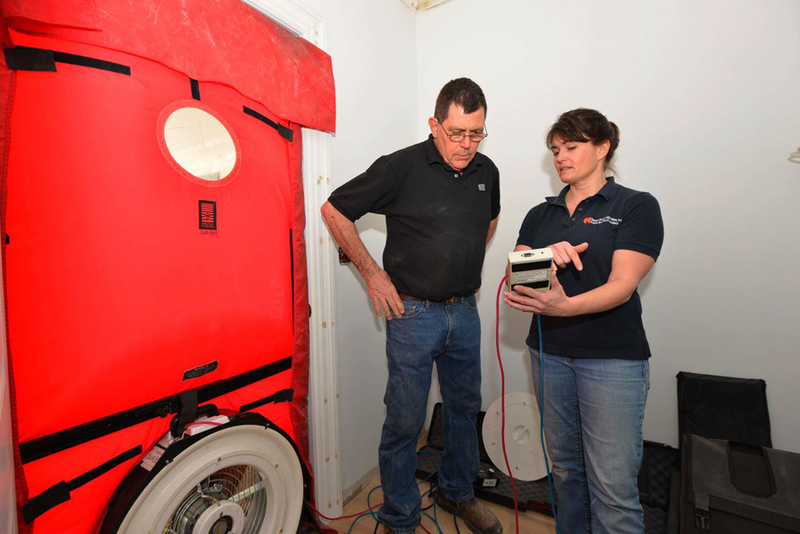 Energy consultant Lois Arena shows Michael Murphy the results of a blower door test (left), one of several conducted during tours of the home (right) where architects also learned about ICF.